This is the final revision of my first build (found here: https://pcpartpicker.com/b/F93Ff7). On the more important stuff, I changed the case to the Enthoo Evolv ATX (and fans), changed the CPU to the 6700k, and changed the PSU. Also switched from using the stock Corsair thermal paste (from H110i GTX) to Arctic Silver 5 when I swapped CPUs (still have to burn it in). I also added some minor aesthetic things, such as a black cover for my M.2 SSD, sleeved PCIe cable, LED strips, Riing radiator fans, etc. You can see for yourself lol. I also changed the radiator to pull instead of push when I got the new case. I'd initially intended to, but the 450D was such a pain to build in that I gave up and settled for push because it was easier. With the Enthoo Evolv, though, the radiator bracket makes mounting the radiator a breeze, so I finally switched to pull for easier dust cleaning. Following that, I seriously regret not buying this case to begin with. My first build was a pain in the @$$ because the 450D barely fit so many things, didn't look as sleek as I wanted, had flimsy panels, etc. and was just not fun to build in. I ended up frustrated at the end. Not so with this one! CASE: This one looks sick, and frankly my dislike for the 450D grew daily. See above too. CASE FANS: I switched my case fans to Venturi HP from HF because of the front panel of the Evolv. I now have 3x 120mm in front and 1x 140mm (also HP for PWM control) in the back. I have the back running at a constant 60% (400rpm or so) so it never exhausts more than is taken in. They're quiet and work well. I have a HF-12 mounted below the GPU to feed the blower fan fresh air. Works super well. RADIATOR FANS: Just got them because I like the Riing design. They're loud and for some reason I can't lower the RPM from max, but they do keep the CPU cool, so I don't really mind. CPU: I initially had a 4.5GHz 6600k. It worked perfectly well. However, I decided that I want to get a CPU that I won't have to upgrade for years, and an i7 is definitely going to perform better longer than an i5, especially with the new APIs. Plus, I just can't settle for anything less than the best (except on GPU, Titan XP is a little pricey lol, as is 1080). PSU: Ah, what a pain. I'd initially bought an 850W G2 from EVGA so I would be able to SLI in the future. However, I had some issues that made me have to return it to Amazon. First, random power surges. I have a surge protector too. Those went away though, so fine, whatever. But then, ALL SATA power just... stopped. Nothing. Everything else worked, just not SATA (which is necessary a teeny bit). So, I returned it and bought the RM850i. I love this thing - the fan hasn't ever turned on, it gets 90+% efficiency under load, and the Corsair Link is a nice touch. Plus it matches my theme ;). THERMAL PASTE: Not really very important. After burn-in, generally performs the same as MX-4, and it's cool to be able to say you have 99.9% silver sitting on your CPU I guess. AESTHETICS: They're all pretty self-explanatory. Looks cool. :) Got the M.2 cover from some place in Portugal. Mounting it is a pain, and there's only one supported side (read: screw), and I ended up using electrical tape to make it stay on. Other stuff is from Amazon. I was able to OC my 6700k to 4.7 GHz at an average 1.37V. Pretty average, but I'm happy with it. Temps stay around 67-70C with occasional spikes for less than a second (which could just be error reading temps). Ran AIDA64 for 9 hours and it's stable. Going to run Unigine and game benchmarks later to test stability in more real-life stuff. GPU OC from the first build hasn't changed. Computer works fantastically. I can't ask for more performance at 1080p. I'm hoping to get a 1440 monitor later, and the 1070 should be more than enough then as well, although I might also get a second one. I love how it looks, although I sadly can't put it on my desk. But I know and that's what matters :). Splendid. I have mine @ 4.7GHz. Works great for games and everything. Not super much to say, everyone knows what it is. I love this thing. LED on the waterblock, the sleeved tubes look great, and I love the radiator's look. It keeps my OC i7 around 70C (~1.37V). Can't ask for more from an AiO. Got this really cheap from a friend who accidentally bought an extra. It's very fast - not as much as NVMe, but definitely enough for OS and games to feel very snappy. Probably not worth the extra money, which is the only reason 4 stars. It's a good HDD from a good brand. Fast considering it's mechanical. Not too much to say here. Wow. This thing handles whatever you can throw at it (below 4k, that is) and overclocks like a beast. Mine stays below 70C too with my setup. LOVE this case. It looks beautiful and is a joy to build in. So easy and tons of room. Easily my favorite case. Good PSU. It's very efficient and delivers clean power. The Corsair Link is also nice to monitor it. Fan hasn't ever spun up for me, so it's silent too. Use as assistant fan in my mobo. It's not loud considering the high RPMs. Not the absolute quietest fans, but pretty quiet at high RPMs. Move a lot of air and do a great job in my case, where front panel restricts airflow. It gets loud at mid-high RPM. I use it to feed my GPU air, and it works great for that. The Riing design looks SICK. They move a good amount of air too. They get very loud though, and with my setup can't lower RPM from 100%. Very nice monitor. The refresh rate is superb and the colors are good after calibration. Nice size, sleek looking. I appreciate having no power brick too. +1 for the oc and cool temps! 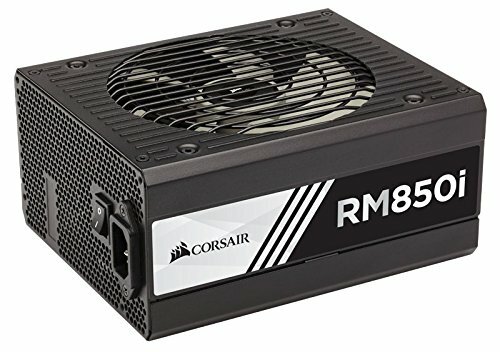 Is the extra GPU fan mounted to the PSU shroud or just sitting on it? I also have the Evolv ATX and I'd never considered that as an option. Seems real easy to just drop a 140mm fan on there to help cool my GPU (not that it needs it, but hey, we wouldn't be here if we weren't all a little crazy about computers). One thing that I did when I had a radiator mounted at the top was put a piece of cardboard into the empty section on the radiator tray to prevent the warm air from coming back into the case. Now that I'm front mounted it's not an issue, but I think that helped with my temps. I have it screwed into the holes from the bottom. Was a pain in the arse getting the screws in though, so hard to line up and you need a tiny screwdriver ^_^ but worth it! A 140mm might not fit. The 120mm was pretty tight and leaves very little room for cables to reach the USB2 headers and stuff. If you can fit one, though, that would work great! That's a good tip - hadn't thought of that! I'll give it a try. Is your front mount exhaust or intake? I currently have my X61 front mounted, using the Phanteks 140mm fans as push, and the NZXT fans as pull. The rear 140mm fan is exhaust, and that's all I have right now. 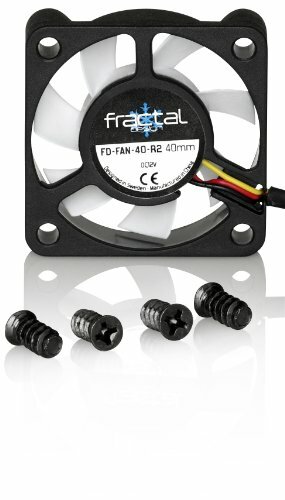 I have an old Fractal Design 140mm and a Phanteks 120mm that I could install in the top, but I honestly doubt they'd do much and my temps are pretty good as is. My GTX 970 is from EVGA and doesn't spin up the fans until it hits 60, so a shroud fan could improve my idle temps. However, it might interfere with the airflow from the pull fans on the radiator. I might give it a shot one of these days though, just to see. How did you attach the gpu fan? I have the same case and would like to do the same. btw to control the fans you need to go to your BIOS and change it to PWM, i had the same problem with this case. I have it screwed into the holes above the PSU from the bottom. Thanks for the tip, I'll look into it! How is your m.2 working out for you? Nice build btw. +1 from me. The M.2 is great. It's super fast, and I'm not doing anything that would benefit from NVMe, so I doubt a 950 would change anything. I only use it for a few games and the OS, everything else goes on the HDD, so capacity-wise I'm fine too. Thanks :) I'm very happy with it! Same here! I'm running 4.6GHz at 1.375V. To hit 4.7 I need about 1.41V, which is a little too high for comfort. OP got a nice lottery pick. It's top 50% so I'm pretty happy :) I saw a guy who had 5GHz though which is top 2% - had like 1.39V or something. Crazy stuff right there lol. Thanks :) tried to get it to 4.8 but kept bluescreening even at 1.39V lol.